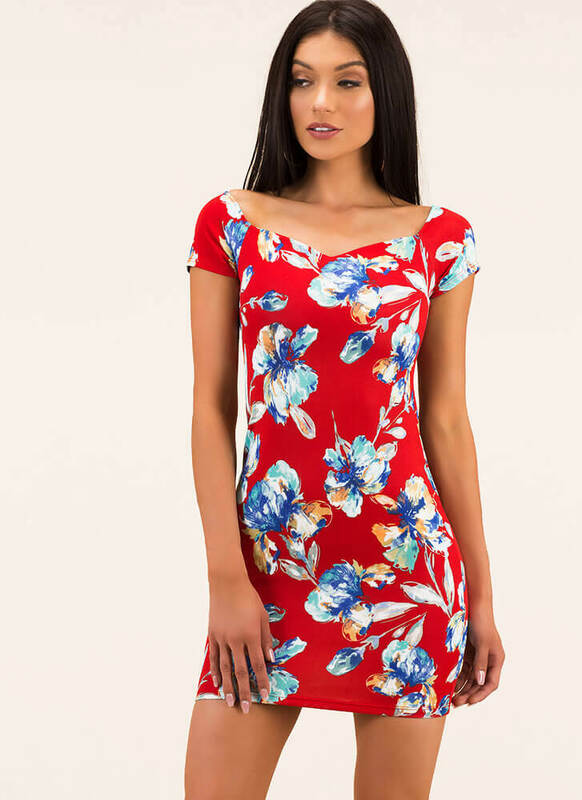 With this dress in your closet, it'll feel like springtime all year long! 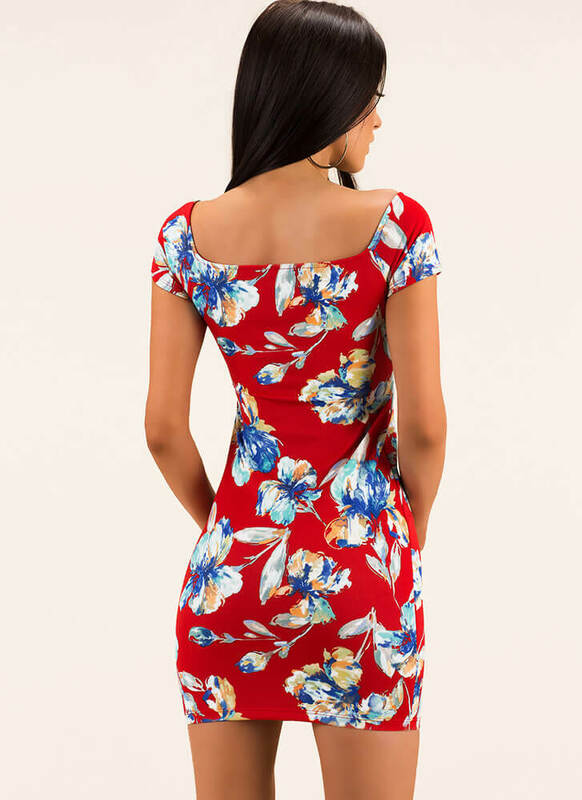 Stretchy, lightweight, short-sleeved floral minidress features an extra wide neckline that can be worn off-the-shoulder, as well as an allover multi-colored print of flowers and leaves. No closures are included. Pattern placement may vary.